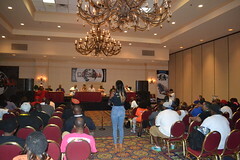 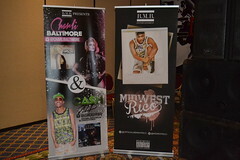 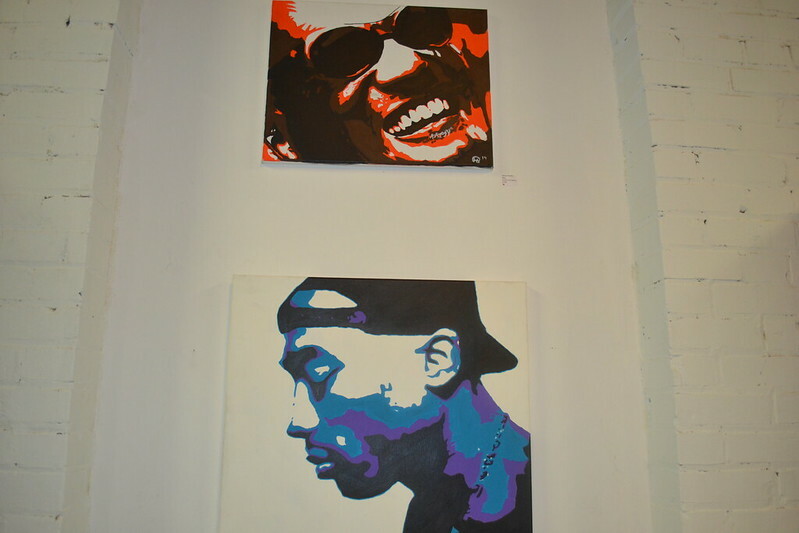 During the A3C Conference, VIP’s, artists and panelists were entitled to chill on the 25th floor of the Crowne Plaza Hotel, where there were brunches, parties, mixers and exhibits, as well as two DJ’s. 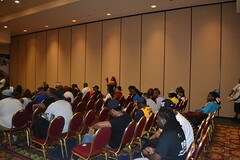 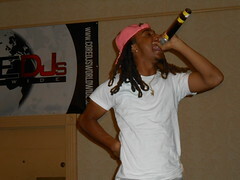 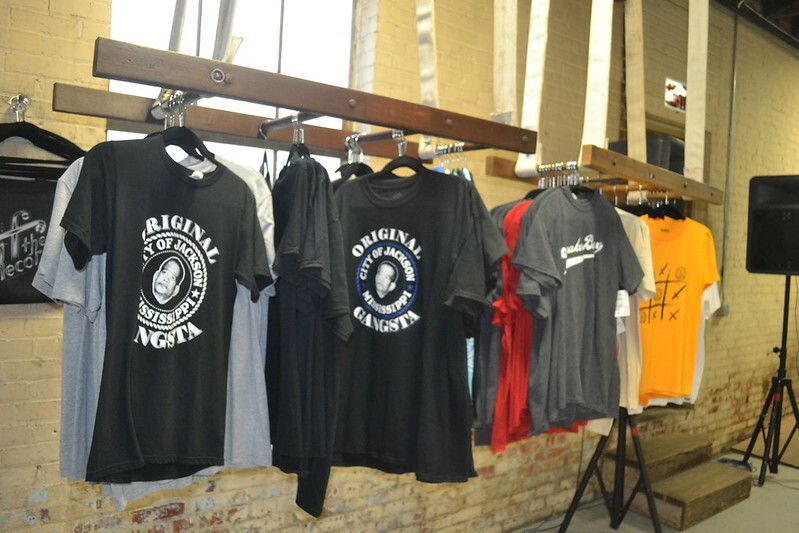 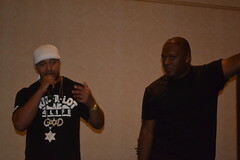 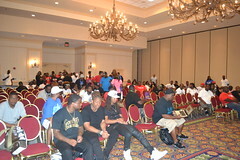 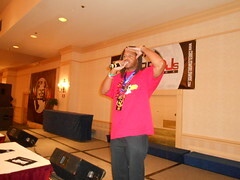 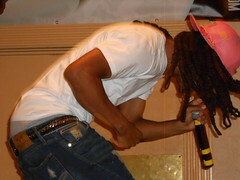 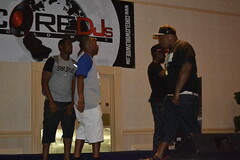 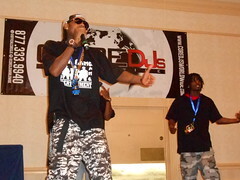 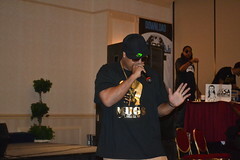 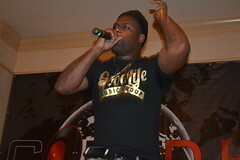 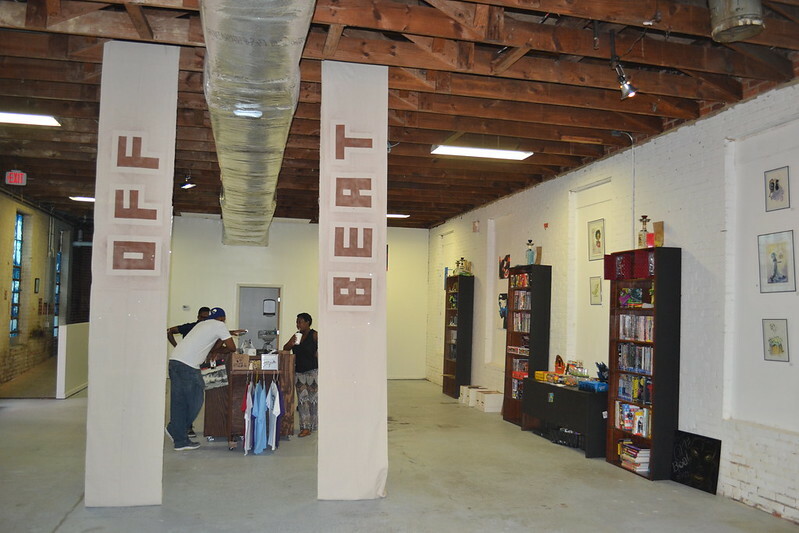 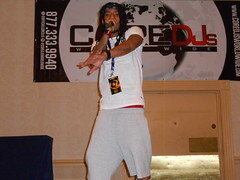 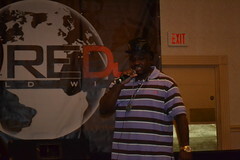 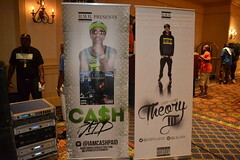 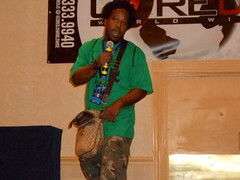 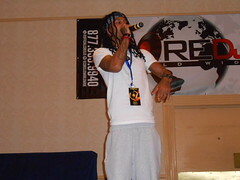 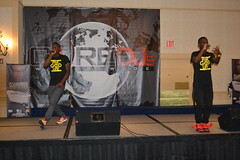 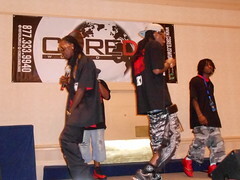 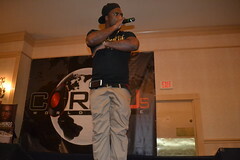 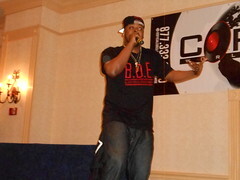 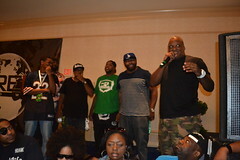 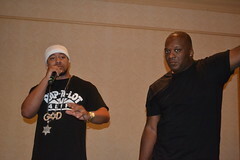 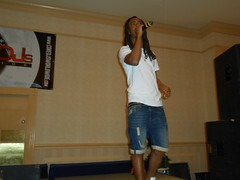 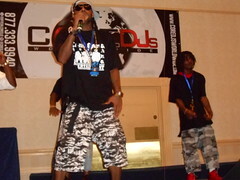 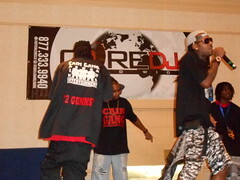 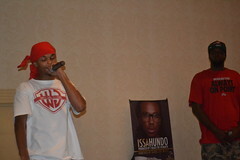 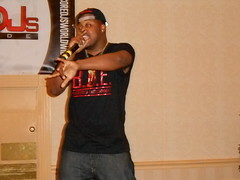 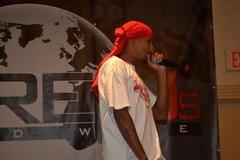 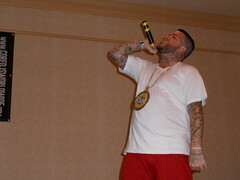 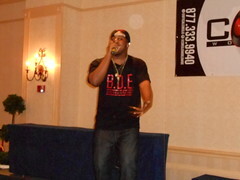 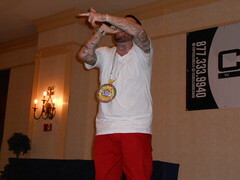 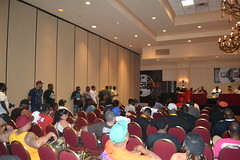 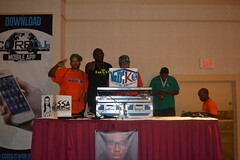 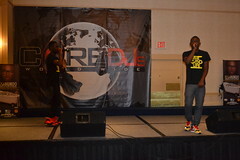 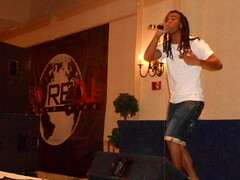 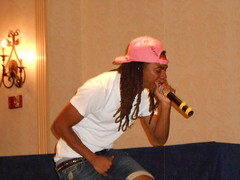 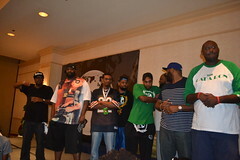 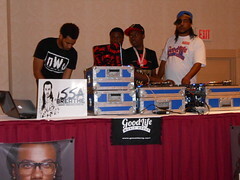 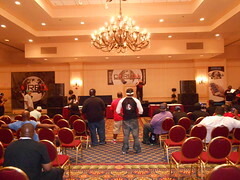 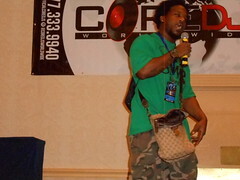 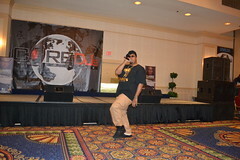 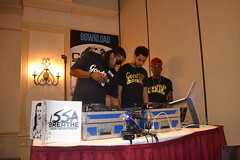 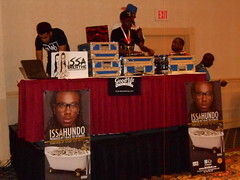 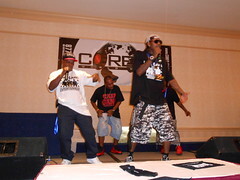 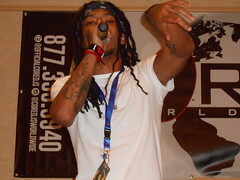 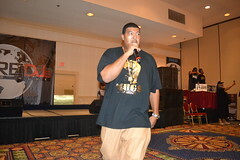 In the southern room, the Beatminerz Radio was broadcasting live for the majority of the conference. 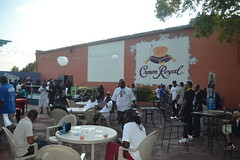 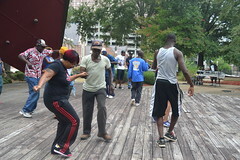 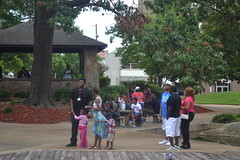 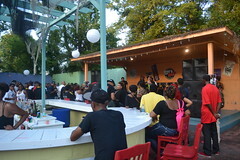 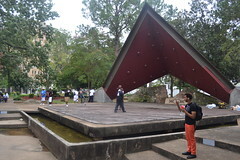 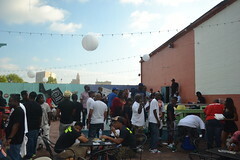 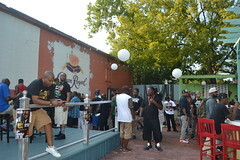 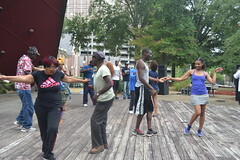 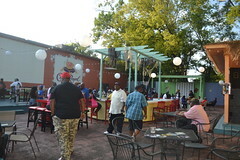 The final event for the Core DJ Retreat in Jackson was a cook-out and Mississippi Rap Showcase on the outdoor patio at Freelon’s, held on Sunday afternoon, September 7. 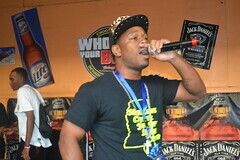 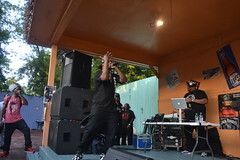 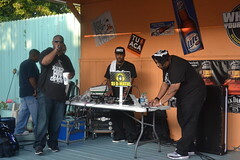 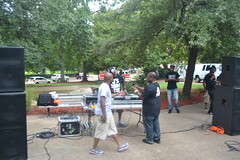 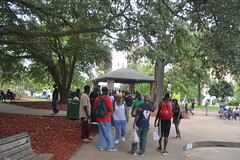 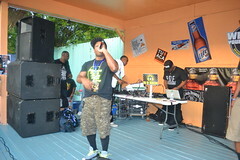 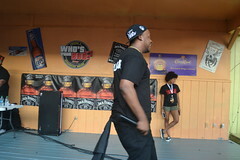 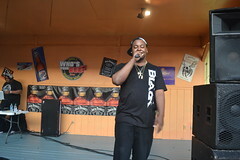 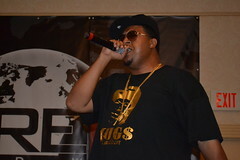 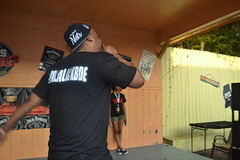 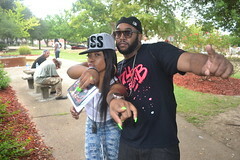 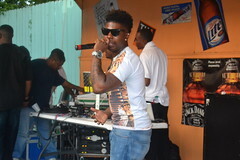 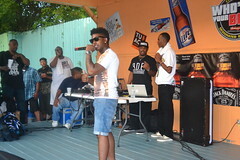 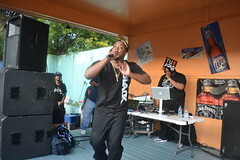 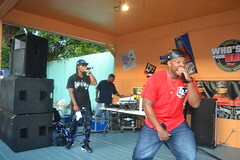 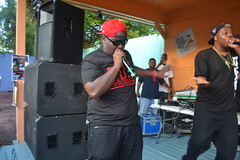 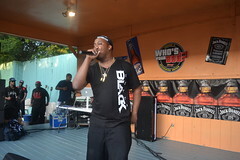 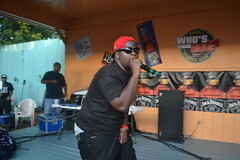 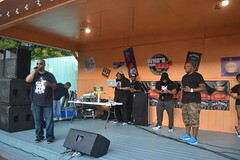 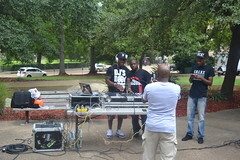 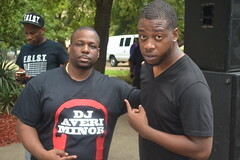 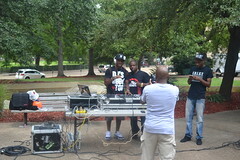 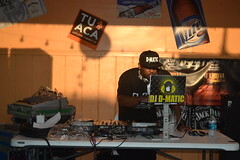 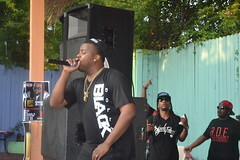 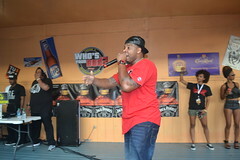 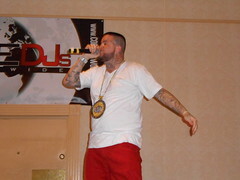 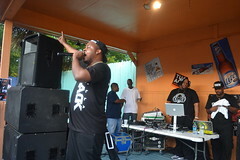 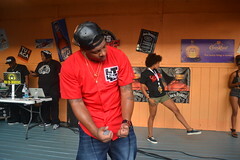 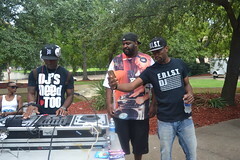 DJ D-Matic was the Dj for the occasion, and a number of Mississippi artists performed, including Jackson rapper Dolla Black from BDE Entertainment. 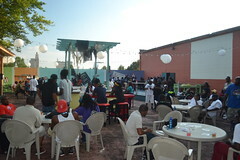 The weather was perfect for the event, and it was a great way to close out the conference. 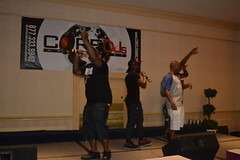 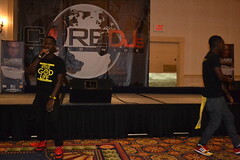 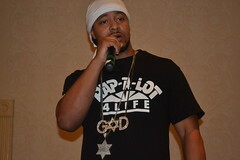 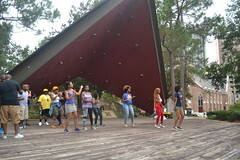 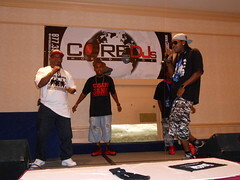 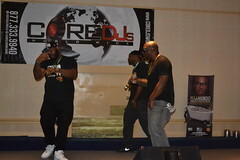 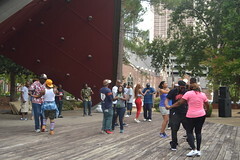 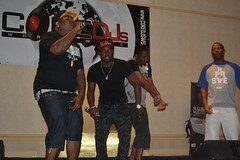 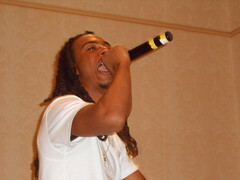 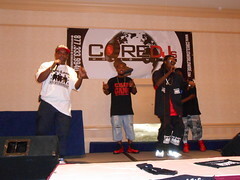 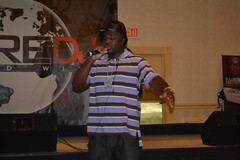 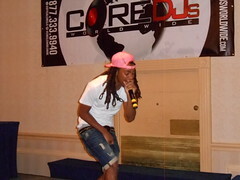 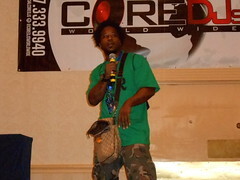 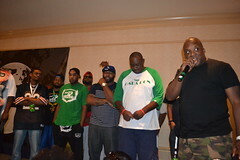 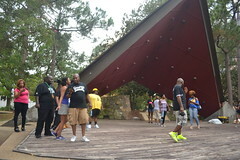 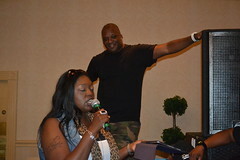 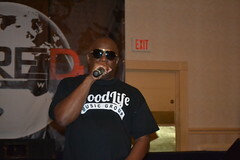 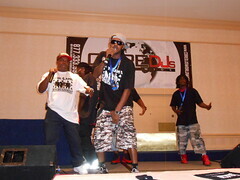 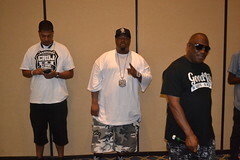 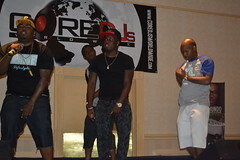 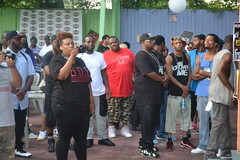 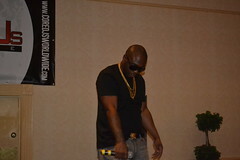 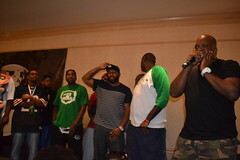 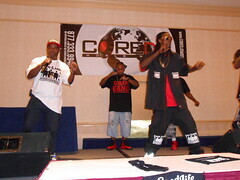 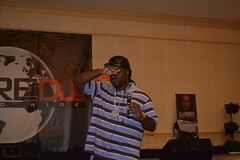 At the third and final day of the Core DJ Retreat in Jackson, the afternoon showcase was sponsored by Atlanta-based Good Life Music Group, and was hosted by the venerable Jacksonville DJ Bigga Rankin, who has broken many a new artist in his day. 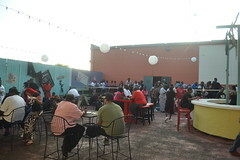 After the showcase, there was an informal wrap-up led by Tony Neal, recognizing those who helped put the conference together, before we all headed out to Freelon’s for an afternoon cook-out and a final rap showcase. 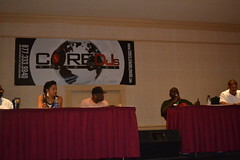 The second day of the Core DJ Retreat was largely dominated by panels and showcases, including a very well-attended radio panel that included Memphis’ legendary radio promoter Lester Pace, formerly of Interscope Records. 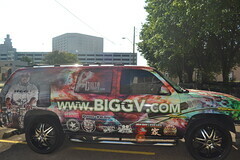 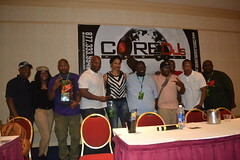 After the radio panel was a showcase sponsored by VirDiko Music Promotion and hosted by veteran DJ Bigga Rankin from Jacksonville. 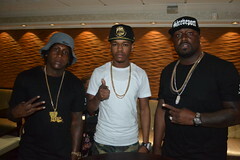 Among the industry stars I ran into around the hotel were Shreveport/Dallas DJ Hollyhood Bay Bay and the artist Hurricane Chris. 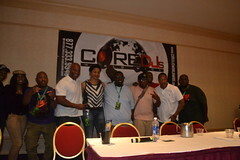 Twice a year, The Core DJ Coalition meets somewhere in America, at events called retreats. 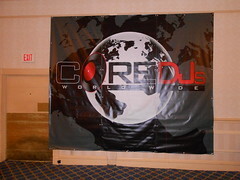 The Core is the largest urban DJ coalition in America, and these conventions are usually held in the capitals of America’s entertainment industry- Atlanta, Miami Beach, Las Vegas, etc. 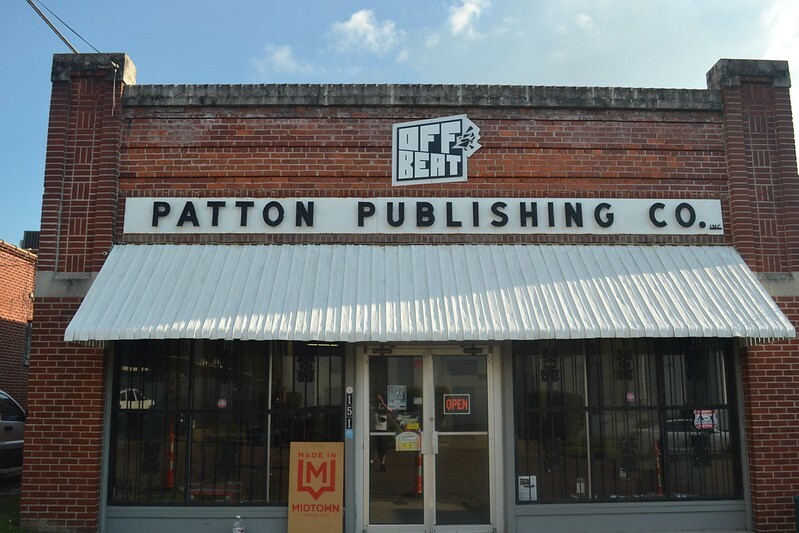 So it was something of a shock when it was announced that this fall’s Core DJ Retreat would be held in Jackson, Mississippi. 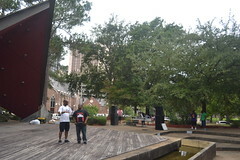 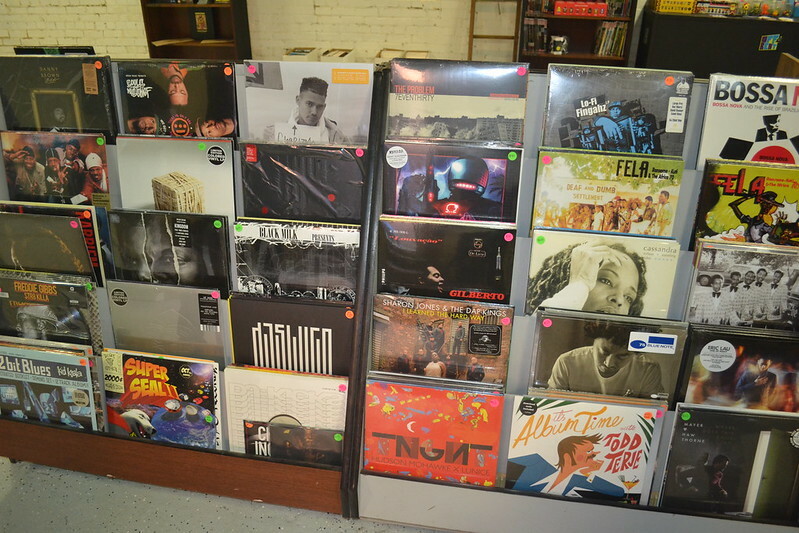 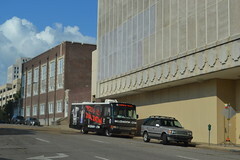 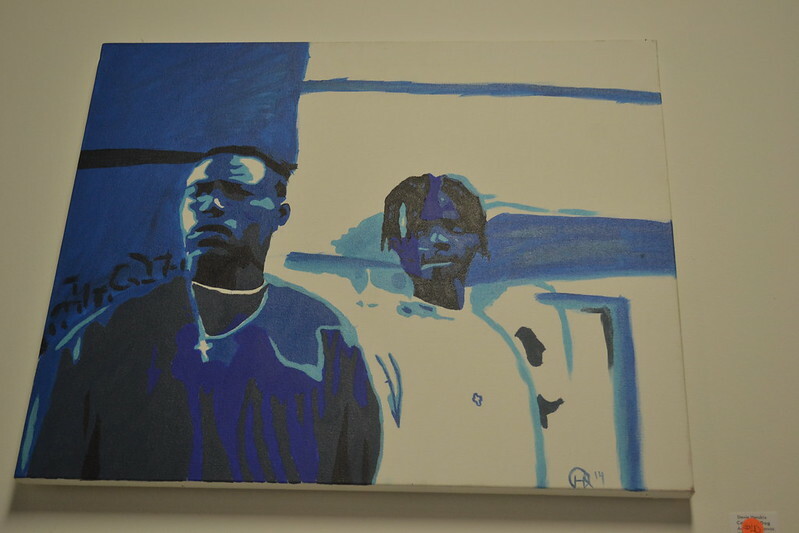 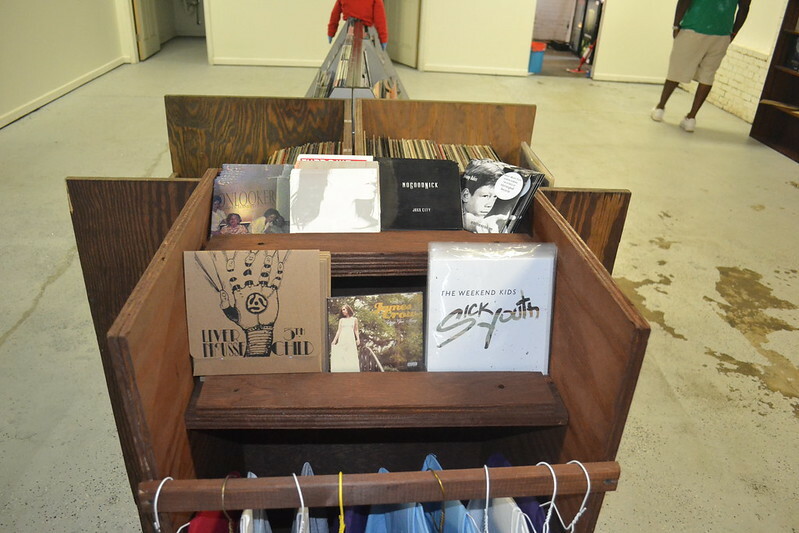 Although Jackson has always had a wealth of rap talent and a unique and different rap vibe, the city has not usually been associated with the music business in any regular sense. 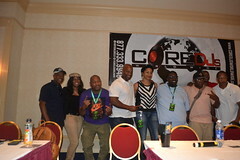 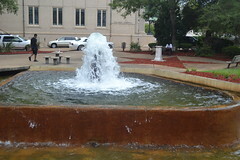 But this year’s Core retreat coincided with a recent flowering of the arts in Jackson, exemplified by the growth of the Fondren neighborhood and the Midtown Arts District, and the retreat, held at the Marriott Hotel downtown, cast a spotlight on Mississippi artists and DJ’s in particular. 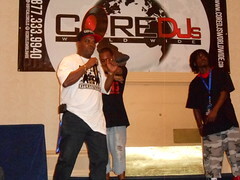 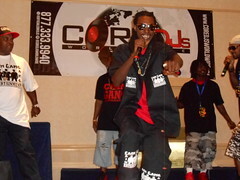 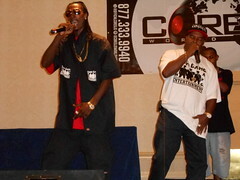 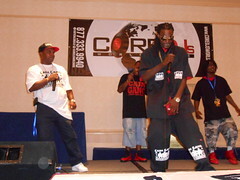 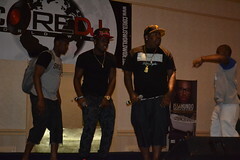 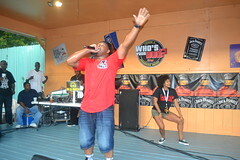 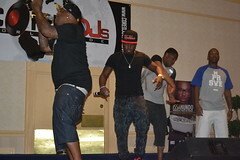 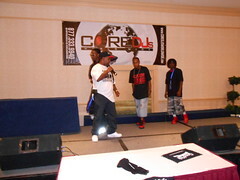 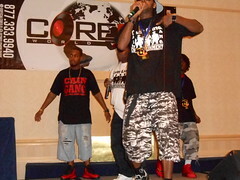 The evening showcase after registration was hosted by my homeboy Sess 4-5 from New Orleans, the rapper, record store owner and activist, and I was quite impressed with a group of his homeboys from the 9th Ward, the Cain Gang who were among the performers on stage Friday night. 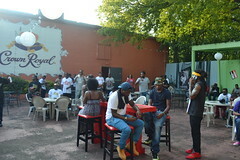 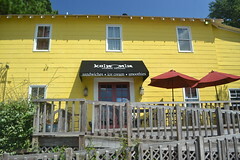 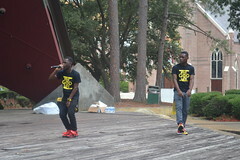 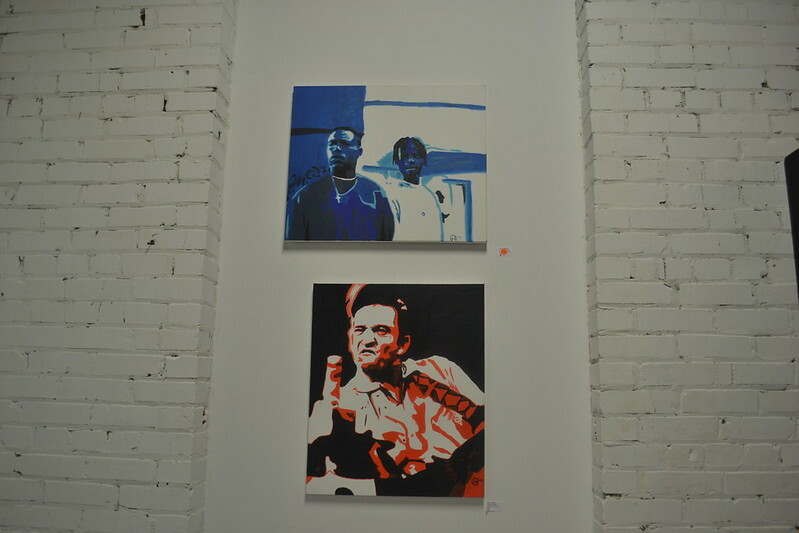 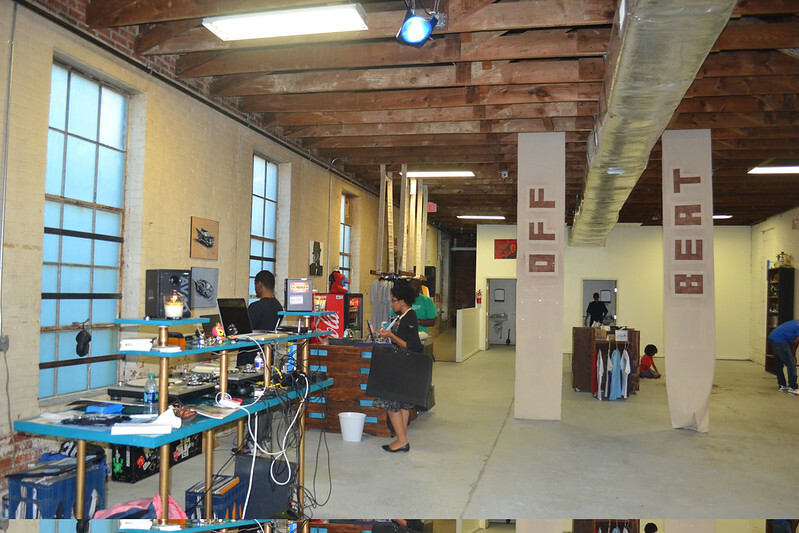 After the showcase, everyone headed a few blocks over to Freelon’s for a party.